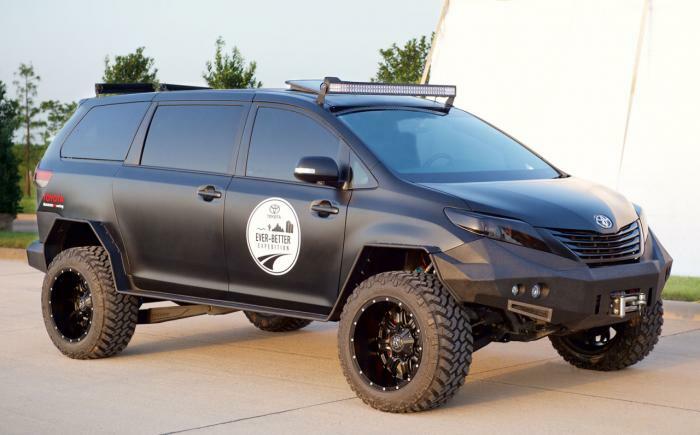 Toyota officially introduced the Ultimate Utility Vehicle (UUV). The fierce looks car yet informed its name will be on display at the event of SEMA 2015 Show later this year in Las Vegas. As reported by the Worldcarfans, on Thursday, June 25, 2015, the UUV was built taken a base of Toyota Tacoma 2015. In general, a car that was introduced with a matte black color finish has the grim looks. It is at least seen through a rough front bumper and fitted with a winch and thin headlamp. Nevertheless, the structure of its side body is not so much curvature. The aggressive impression more stronger by looking at the angle-shaped fenders as well as off road tires. In addition to the SEMA event, the car is also projected to be a part of the Ever-Better Expedition whose goal sent the Toyota engineers in order to feel the experience to drive a car which they design themselves.